Langley Home Designer Archives - Page 2 of 6 - Sonbuilt Custom Homes Ltd.
Come Say “Hi!” at our Booth! Be sure to stop by our booth when you visit the Langley Spring Home Expo this weekend! This Langley based show has a vast array of both interior and exterior products for your home and features a number of landscaping, remodeling, interior design, and home construction companies from areas throughout Greater Vancouver and the Fraser Valley. Free parking and admission. Looking forward to it! Protecting your entire home from power surges is an important step in keeping your home safe, especially during seasons of high winds and ice storms. We’ve had some interesting weather this winter resulting in several days of power outages and very cold temperatures. I heard of several homes encountering devastating power surges leaving home electronics destroyed and unsafe. 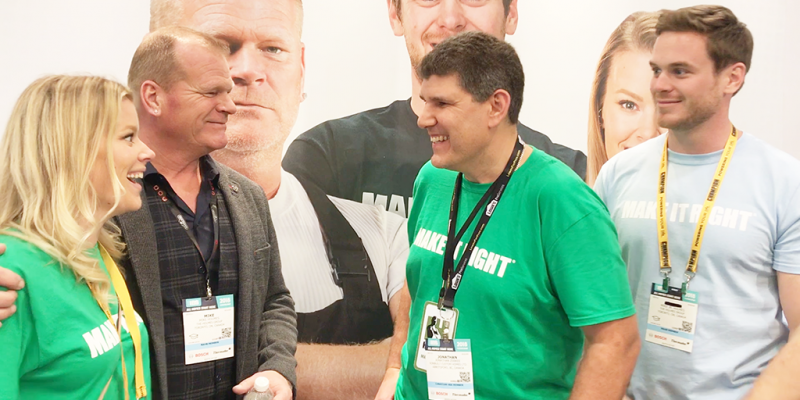 This past January we visited the International Builder’s Show in Orlando with Mike Holmes and his son, Mike Holmes Jr. and daughter Sherry Holmes. One of the booths we stopped by at was the Eaton booth. 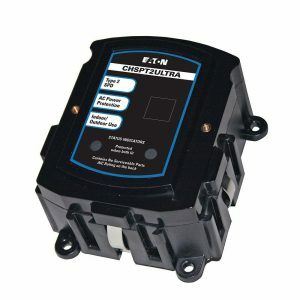 Eaton sells a small, cost effective device that provides whole home surge protection. This is a Mike Holmes approved product and offers a smart way to keep your home safe from potential power surges. As a Holmes Approved Home builder, Sonbuilt Custom Homes installs this surge protection device in the homes we build. Just another step we take to build new homes right! One of our custom homes recently won a Special Achievement Award for “Best Certified Home” at the Housing Awards of Excellence Gala by the Canadian Home Builders of the Fraser Valley. The Drysdale is a home we designed and built for a family living in Chilliwack. This high performance home is certified R-2000 and received an air test of 0.57 air changes per hour. It has an ICF (insulated concrete forms) foundation, triple glazed windows, airtight drywall, navien hot water tank, low flow toilets, and a heat recovery ventilator for regular fresh air. Building this home was a great experience and working with this family was pure fun! The site is located in the midst of beautiful mountains and sheep farms. There were some days we felt a little guilty for disturbing this peaceful setting with our power tools! We want to say a big “thank you” to the Canadian Home Builders Association of the Fraser Valley for awarding us this honour! We are very excited to be in the Fraser Valley Home and Garden Expo in Abbotsford at Tradex on February 9 – 11! Come visit us at booths 212, 213, and 214. As well, both Jonathan and Carmen Zerkee of Sonbuilt Custom Homes are very pleased to be guest speakers on the Main Stage at the show. We are speaking Friday at 2:30pm, Saturday at 11am and 2:45pm, and Sunday at 11am. Come hear our presentation “Step Up to One Level Living”. Introducing “THE VINE” at Pepin Brook! We are very excited to introduce you to THE VINE at Pepin Brook! This 16 lot development featuring upscale high performance homes is coming to the West Abbotsford area of the Fraser Valley in 2018. Each home will be minimum ENERGY STAR qualified resulting in lower energy bills, better home comfort, and healthier indoor air quality. These homes will be, simply put, better to live in. As an added bonus, each home will be built to standards approved by the Holmes Approved Homes program. 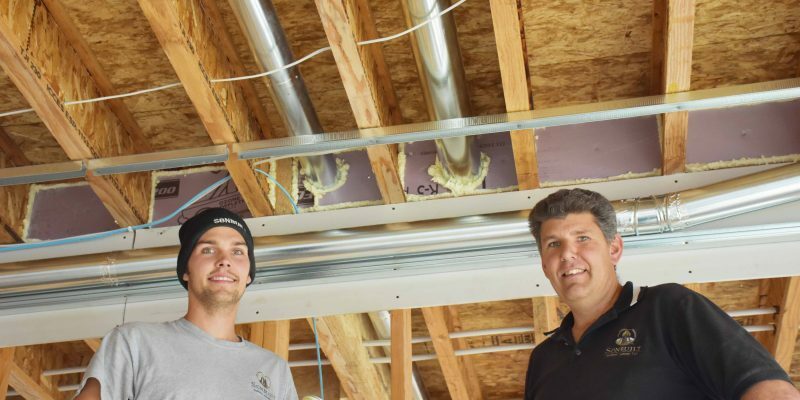 This program integrates proper building practices with quality products to build homes that go above and beyond residential standards from construction to final inspection. Sonbuilt Custom Homes is a Mike Holmes approved builder. We will go above and beyond industry standards to give you the best home building experience we can. Webpage is Up and Running! While we are in the initial stages of launching our marketing, we have set up a webpage THE VINE to give information on where and what THE VINE is. Please visit this page for more information. In the coming weeks we’ll be adding floor plans and additional information. Interested? We thought you would be! Check out THE VINE webpage and put your name on our INTEREST LIST. These 16 homes will sell quickly! Stay tuned for our social media advertising! It’s all coming soon! Announcement Coming in January 2018! You may have noticed we’ve been a little quiet here on our blog. We’ve been busy. Very busy, actually. Over the past number of months we’ve been working on a new project. While we aren’t quite ready to reveal the details of what we have been working on, we are pretty close. What We Can Share NOW! For now, we can tell you that our announcement will be shared early in January 2018 here on our blog, on our Facebook page, on Instagram, and on our LinkedIn company page. We’ll be adding several pages to our website to keep you up to date on progress and news. We are really excited to get this new project rolling! It’s been a busy season getting everything ready and we still have a bit more work to do. But we are close. Very close! As 2017 comes to a close we want to wish you and your family a very Merry Christmas and a prosperous New Year! Our office will be closed between Christmas and New Years Day. We’ll be back again the first week in January! Please don’t hesitate to CONTACT US if you have any questions about building a home next year! Is your home leaking? A leaky home can result in high energy bills. Air leakage takes place when outside air enters a home and warm indoor air leaves the home uncontrollably through small cracks and openings throughout a home. Where Can Air Leak From? Air can also escape around pipes, wires, foundation seals, and mail slots. To heat and cool a leaky home can be very expensive. Reducing the amount of air that leaks uncontrollably in and out of a house is a key part of building an energy efficient home. It’s also an important part to controlling moisture and mold in a home. When building a new home, the best time to air seal a home is at the framing stage. Sealing takes place around the electrical and plumbing locations as well as all penetrations that enter and exit the home. The minimal cost in materials and labour is worth it when you consider that air leakage amounts to 25% to 40% of the average heat loss in winter and cool air loss in the summer. An R-2000 home is a home built to standards that make the home on average 50% more energy efficient than homes built to the standard BC Building Code. R-2000 homes are better sealed than a standard new home resulting in reduced drafts, cold spots, dust, pollen, pests, and noise. A blower door test locates air leaks by using a special fan to depressurize a house. Blower door tests are usually performed before and after air sealing to measure the effectiveness of the home sealing. A blower door is a powerful fan that mounts into the frame of an exterior door located on the home. The fan removes air out of the house, and lowers the air pressure inside. The higher outside air pressure then flows in through all unsealed cracks and openings. A smoke pencil is used to detect air leaks. These tests determine the air infiltration rate of a building. Blower-door testing is useful for both new construction and existing homes. By testing a new home, we can determine whether a certain air tightness target has been achieved. This is especially important when building an ENERGY STAR home or an R-2000 home. The results of the blower door test are required for certification of the home. 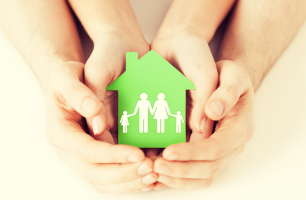 Why is an airtight home important? We have been performing blower door tests on our homes for over 10 years. It’s our way of showing our customers we stand behind our promise of building quality into our homes. As a builder, I have always emphasized to my customers who are enjoying the ‘empty nest’ years the importance of designing a home that encourages ‘one level living’. A comfortable home that promotes living safely and independently all on one level. A good home design will result in a safe and secure environment that is accessible and flexible. Spaces within the home include room for social entertaining, active grandchildren, and ample storage. A level entry at the main entrance and minimal steps from the garage into the home. Master bedroom and laundry room on the main level. Consider a design that allows everyday living to take place all on one level, yet still has comfortable spaces for visiting grandchildren, overnight guests, and lively evenings watching the game. As we age, our mobility needs change. It’s something we may not think about much in our forties and fifties, but that doesn’t mean we shouldn’t plan for the possibility when designing a home. 36” doorways as opposed to 30” will allow plenty of space for moving furniture and wheelchair access. Wider hallways, 43” or more, will feel wider and are less confining. A specific closet designed with a future elevator shaft in mind will allow for longer term mobility within the home. A well lit home is a safer home. Motion lights conveniently installed into stair steps will ensure lighting is always present in stairwells. Lights in closets and within cabinetry will enhance work spaces and walkways. The list goes on. A well designed home will be attractive, accommodating, and adaptable to all stages of life. If you are thinking about a new home, consider a design that allows you to do all your every day living on one level. Interested? Please download our ‘Sonbuilt Aging in Place’ brochure! And don’t forget to contact us today!